Today I spent some more time working on the aquarium. In a previous post, I described a bit about what I wanted to do with the plants and the focal point of the aquarium. Well, I’m still not 100% sure what the focal point will be, but I’m leaning towards a reddish plant, while all the other plants will be green. I chose black and white for the rocks and gravel respectively, so that the fish and plants would have an extra pop of color. I placed a couple plants from the old aquarium into the new one, and you can see how the green stands out against the black background (some foam board from the craft store). I’m quite happy with it so far! 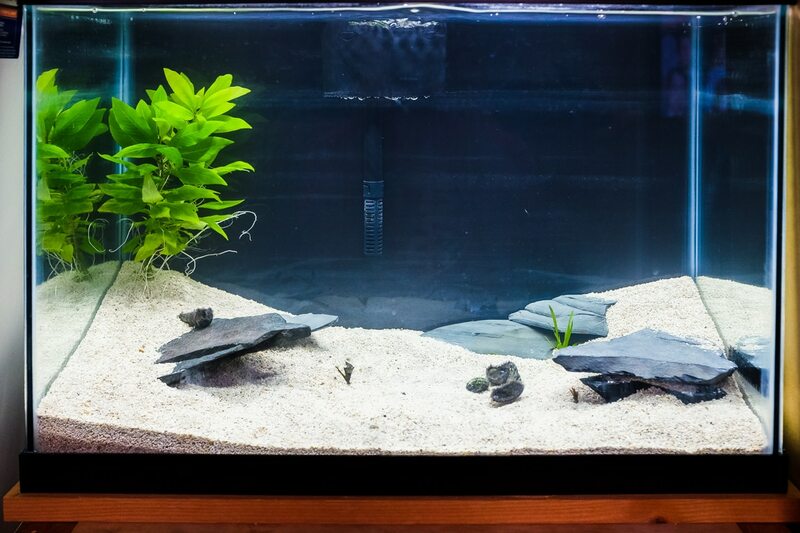 I also added more substrate (the gravel) on the sides so that I could angle the slate rocks up a bit, which creates some nice hiding areas for the fish. I think that the algae-eaters will need those places (and that leafy plant) to take refuge in after the tiger barbs are moved over, since those fish can be aggressive. I hope they get along! I’m not sure if I want to keep the large plant that’s on the left side permanently, though. I wanted more grass-like types, but for now this plant is helping to keep the water clean while the bacteria get settled in the new tank. 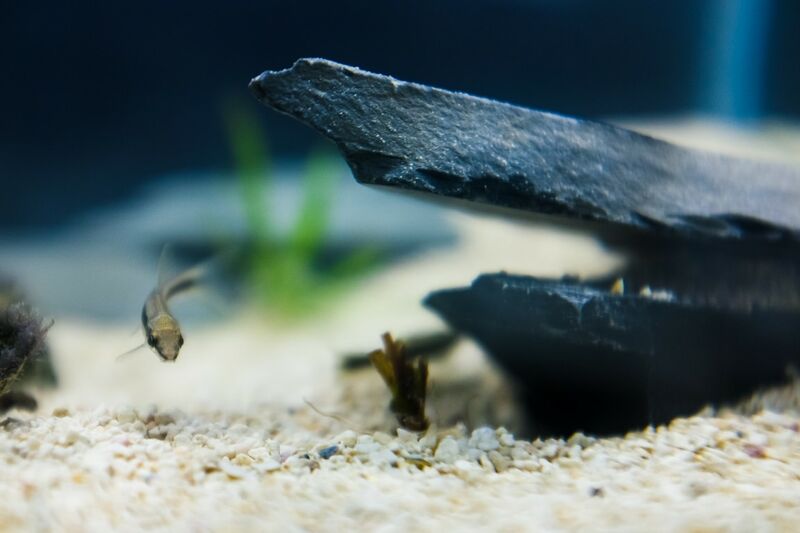 It usually takes a few weeks, but I kind of kickstarted the process by putting some bio material from the old aquarium next to the filter of the new one. Hopefully it won’t take too much longer for the bacteria to begin thriving.